B2B products aren’t perceived to be simple or easily understood by the common man. B2B companies tend to focus only on their products or services and not the company image or brand identity as they feel a lack of connect with the masses. Companies who choose to focus on creating a brand aren’t sure how to go about either. We helped one such B2B company create a strong brand identity across multiple points and simplify what they sell. Speciality ingredients and chemicals with applications in food and nutrition industry as well as many others like automobile, paints, pharma, home and personal care etc. We created consistent and impactful communication across mediums. Starting from the logo to simplifying the products, we translated the brand essence to the extreme end user and business partners. 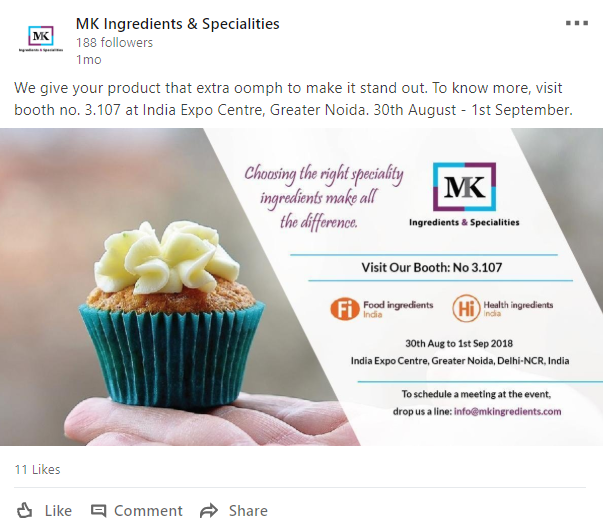 For the upcoming expo MK was a part of, we started pushing out communication on their LinkedIn page making it easy for business partners and associates to locate them in a cluttered expo. We recreated their brochures to ensure a distinguishing presence during the event. 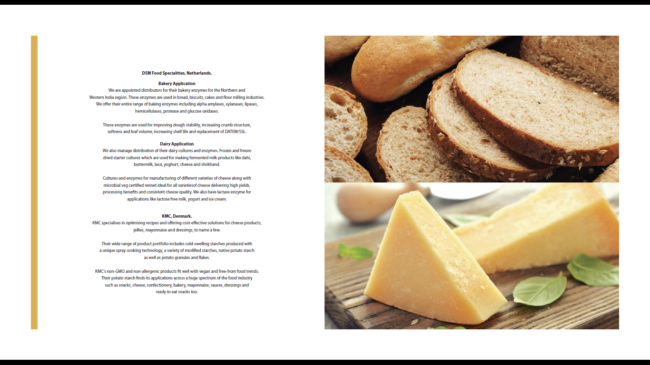 The brochures are being used by the sales force and it continues to create the desired impact. Establishing credibility of 17+ years of expertise. The secret ingredient of a B2B company, like MK, is to simplify and translate what they mean to the world. Bridging the gap between their offline initiatives and the digital mediums further help building a consistent brand identity.